He earned his bachelor’s degree from the School of Economics of the Natìonal Polytechnic Institute in Mexico and his M.A. and Ph.D. at Yale University. He was a Professor at the Natìonal Polytechnic Institute and El Colegio de Mexico. From 1978–87 he was with the Central Bank of Mexico; from 1987–88 he served the National Government of Mexico as Undersecretary of Budget; from 1988–1992 as Secretary of Economic Programming and the Budget; and he was appointed Secretary of Education in 1992. 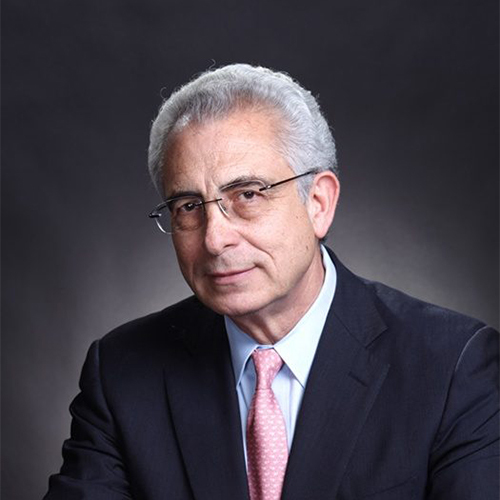 In 1994 Zedillo ran for the presidency and won. He served his country as President of Mexico from 1994–2000. He currently serves as the Chairman of the Board of the Natural Resource Governance Institute; the 21st Century Advisory Council of the Berggruen Institute on Governance; and Co-Chair of the Inter-American Dialogue. He serves on the Global Commission on Drug Policy, chaired by Fernando Henrique Cardoso, and is a member of The Elders, an independent group of global leaders using their collective experience and influence for peace, justice and human rights worldwide. From 2010 to 2012 he served as Vice Chair of the Global Commission on Elections, Democracy and Security, Chaired by Kofi Annan; from 2010 to 2013 as Chairman of the Oversight Board of the Natural Resource Charter; from 2005 to 2011, as Chair of the Global Development Network; from 2010 to 2013 as Co-Chair of the Regional Migration Study Group; and from 2008 to 2010 as Chair of the High Level Commission on Modernization of World Bank Group Governance. He currently is a member of the G30 and the Board of Directors of the Peterson Institute for International Economics. He is a Distinguished Practitioner of the Blavatnik School of Government at Oxford and in 2011 he was elected an international member of the American Philosophical Society. He holds honorary degrees from Yale and Harvard Universities; the University of Ghana; the Hebrew University of Jerusalem; the University of Massachusetts, Amherst; and the University of Miami.